We are continuously updating our resources. Please check back often for more offerings. 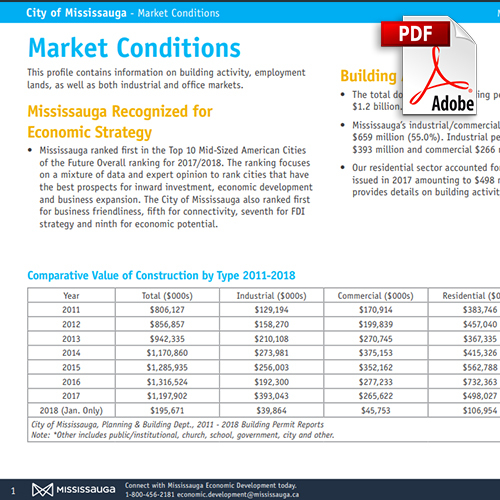 The profiles, facts and maps available in this section provide a comprehensive overview of Mississauga including demographics, market conditions, talent and more. 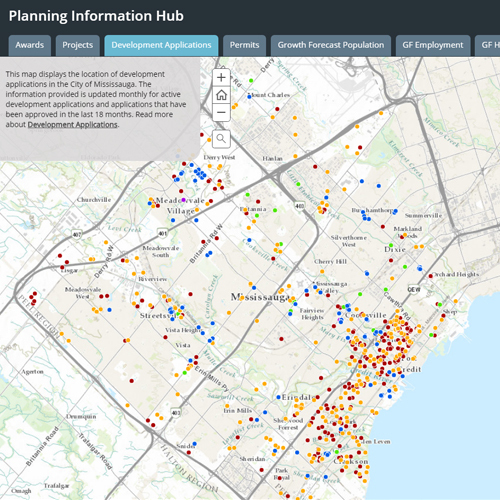 This online tool allows you to easily search through planning-related data including information on planning projects, development applications, growth forecast, population density and more. 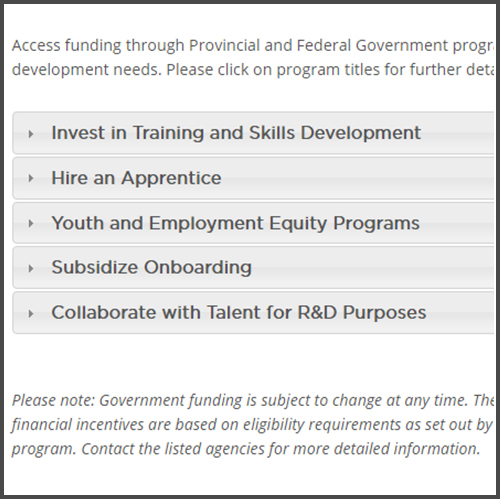 Access funding through Provincial and Federal Government programs to address your needs in R&D and innovation, commercialization, business development, global expansion, employee hiring, training and workforce development and green and green and energy efficiency initiatives.